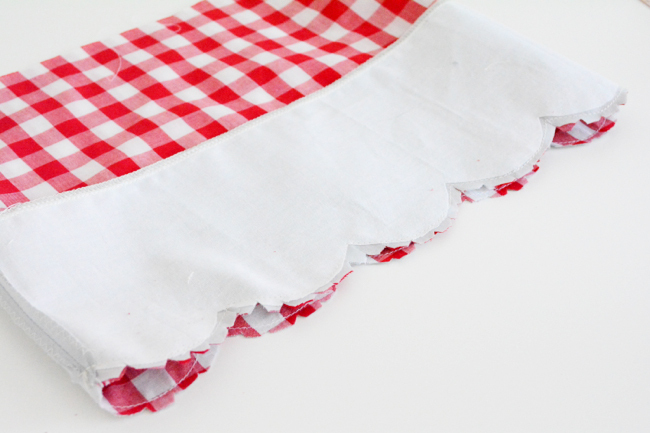 Using a facing for a hem is a fun way to customize an edge. Add scallops, zigzags, or whatever else you can dream up! Before we can sew, we’ll need to draft a pattern piece for our facing. 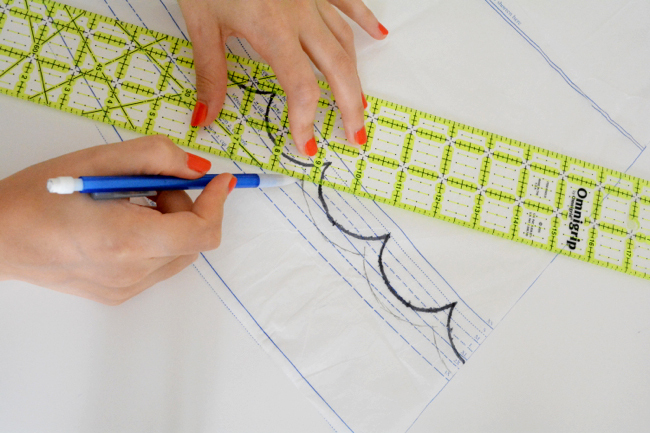 On your skirt piece (or whichever piece has your hem), draw the finished hem edge at the length you’d like. Use a ruler to add a seam allowance. Trace off the bottom and side edges onto new paper. On the sides, measure up from the bottom the width you would like your facing to be, plus seam allowances. Use a ruler to connect the marks. 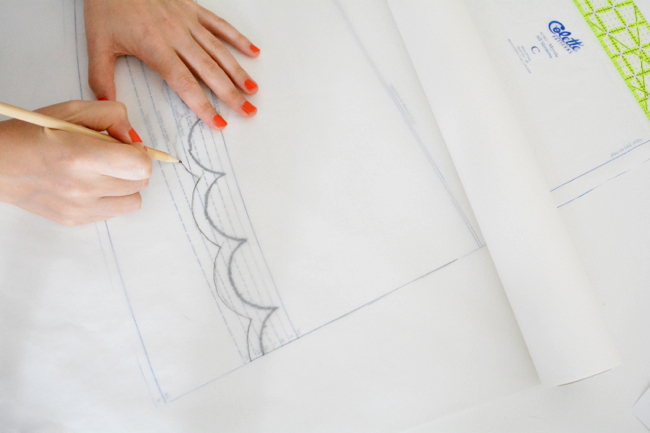 If your pattern piece is curved, mark several points up from the bottom and use a ruler to connect them. Mark any grain lines, folds, labels etc. Repeat for any pieces involved in your hem (ex. skirt front and back). 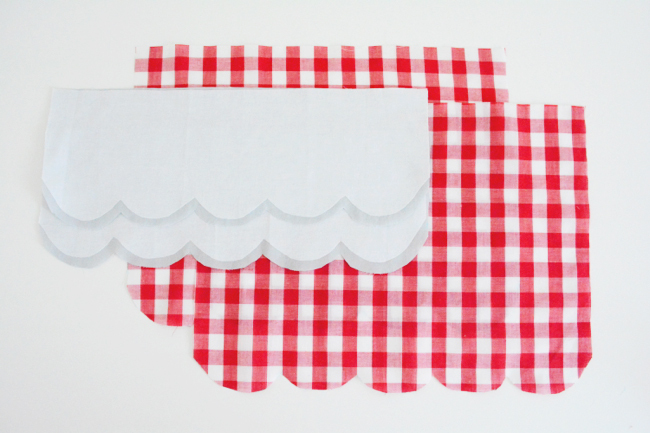 Cut out your paper and fabric pieces. Apply interfacing to the facings. Before you fuse, trim the seam allowance off the bottom edge of the interfacing to get an extra clean edge when you turn it. Sew side seams of skirt and facings and finish. Grade facing seam allowances. Press all seams open. Finish top edge of facing. 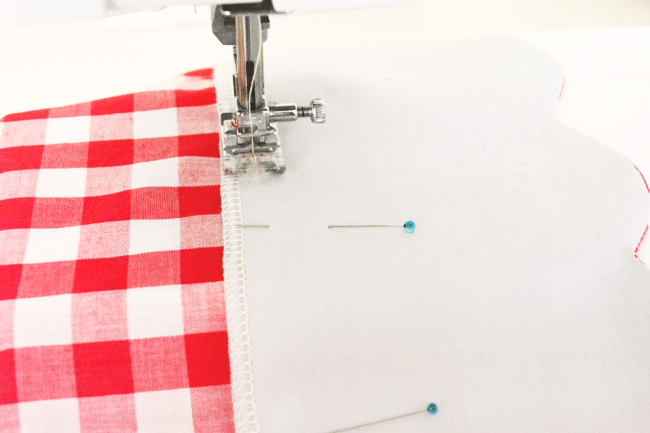 Pin facing to outside of garment, right sides together, aligning bottom edges. Stitch all the way around the bottom edge. Notch any outer curves and clip any inner curves and corners. Turn facing to inside. Use a point turner or chopstick to push out corners and edges. Press. Stitch along top edge of facing to secure using desired method. To switch it up a bit, make your facing out of a contrast fabric and attach it with its right side to the wrong side of the garment. 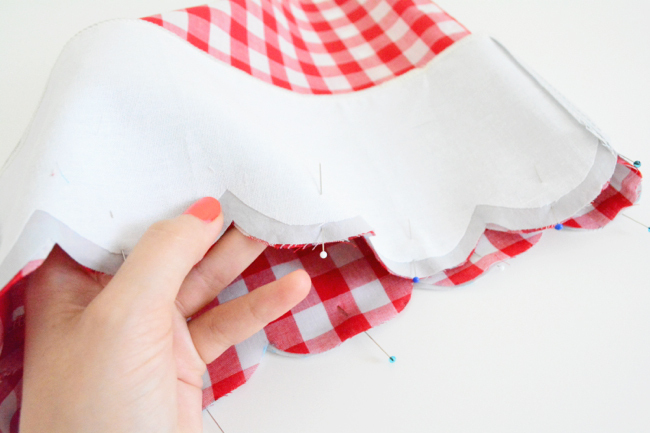 Turn it to the outside, tuck in the raw edge and topstitch around the top. 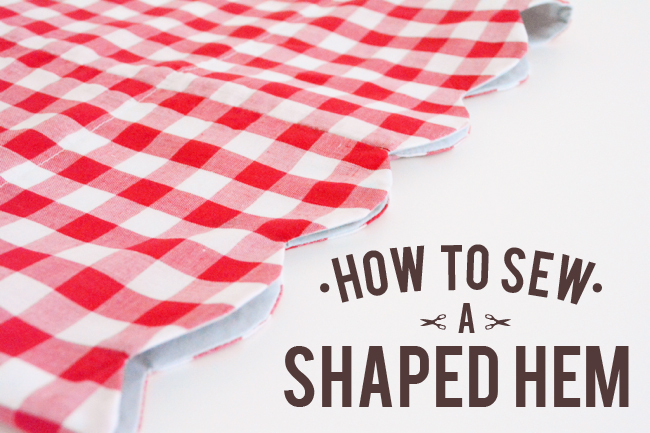 What hem shape would you like to try? Ahhh! What a great idea!!! I’m looking forward to receiving your hemming guide book. I admire your sewing skills. Every project is so precise and clean. I’m trying hard to elevate my skills so that my wrong side looks extremely neat while the right side is completely professional-looking. Eagerly awaiting the hemming book. It will be an invaluable resource in my sewing library. I’ve learned a lot already, and it will be great to have it all in one place. 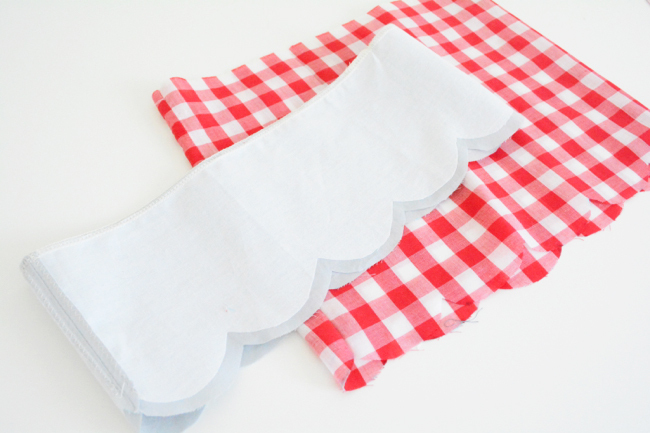 I thought it would be easier this way, as only one piece (the interfacing) has to be cut exact and precise (vs. 3 pieces in your tutorial), but maybe I am forgetting something, what do you think about that ? I suppose you could do that! 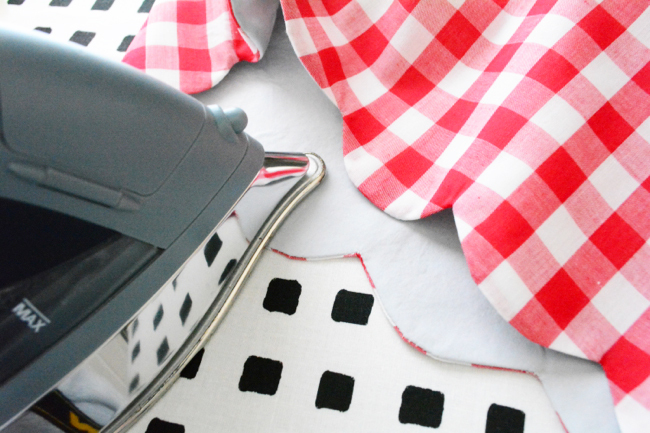 You would just have to make sure that you are applying the cut interfacing in precisely the right spot. That’s so brilliant, and it seems obvious now you’ve showed us how to do it. But I never would have thought to do it on my own. This would probably be too cutesy on a dress for a woman my age but it would look fantastic on a blouse.